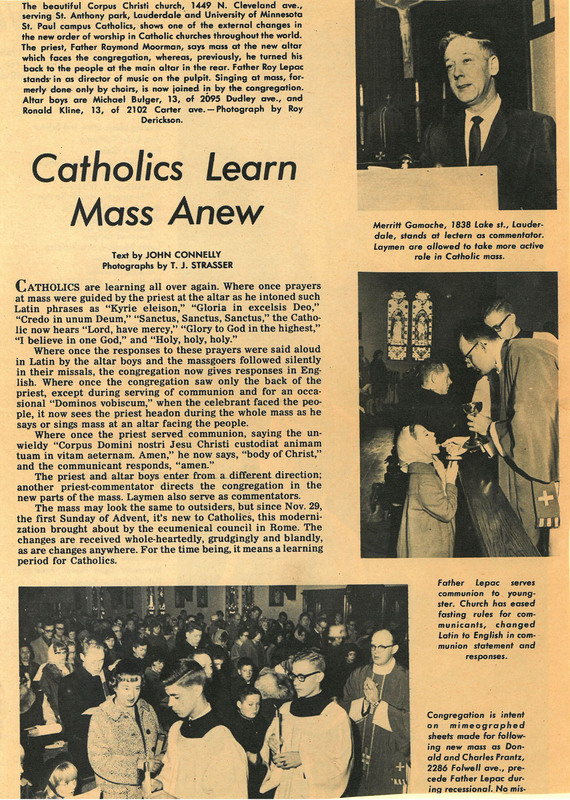 In January of 1939, Archbishop John Gregory Murray received some exciting news. 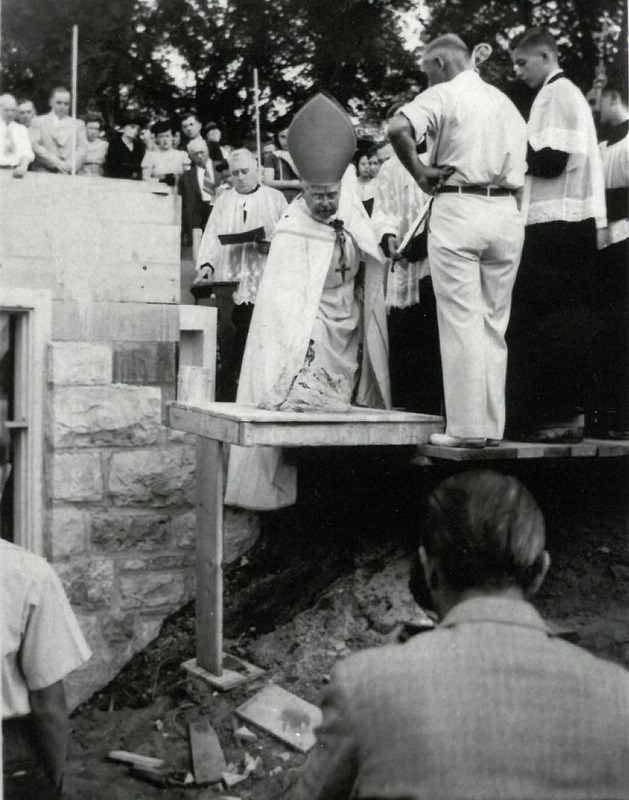 The National Eucharistic Congress was to be held in St. Paul in June, 1941 at the State Fairgrounds. Archbishop Murray, who had been considering the establishment of a parish which would contain the fairgrounds within its geographic limits, chose the name “Corpus Christi” (Body of Christ) for the host parish of this important upcoming event. Corpus Christi was officially incorporated on February 3, 1939. 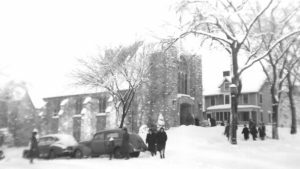 The first mass for this newly established parish was held on January 29, 1939 at Fireside Hall at Como and Carter Avenues below the present Muffuletta Restaurant. After almost two years of liturgy there, the church on Cleveland and Buford was sufficiently completed and the first Mass was held in the new church basement on Christmas morning, 1940. The official move to the new church was on February 22, 1941. 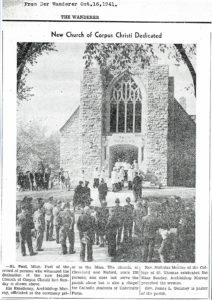 Dedication of the church building was on October 12, 1941. As the need for a parish school became more apparent, property was purchased at Fairview and County Road B in Roseville. 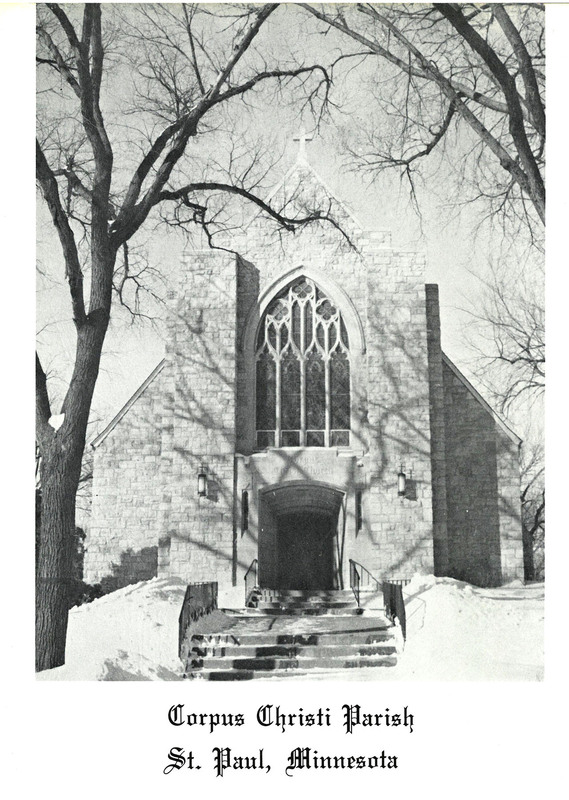 The school, staffed by the School Sisters of Notre Dame, opened on September 8, 1959 and the first Sunday mass was held there on October 11 of that year. 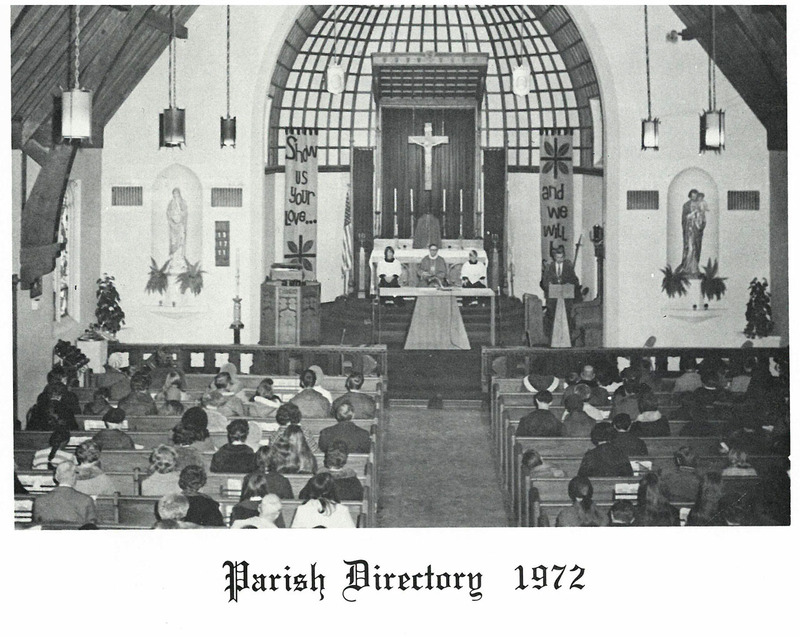 For the next 33 years, liturgies were celebrated at both locations giving the parish the unusual situation of two buildings two miles apart. 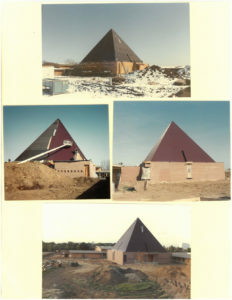 A gym-auditorium wing was added to the school in 1962 and was blessed in February 1963. 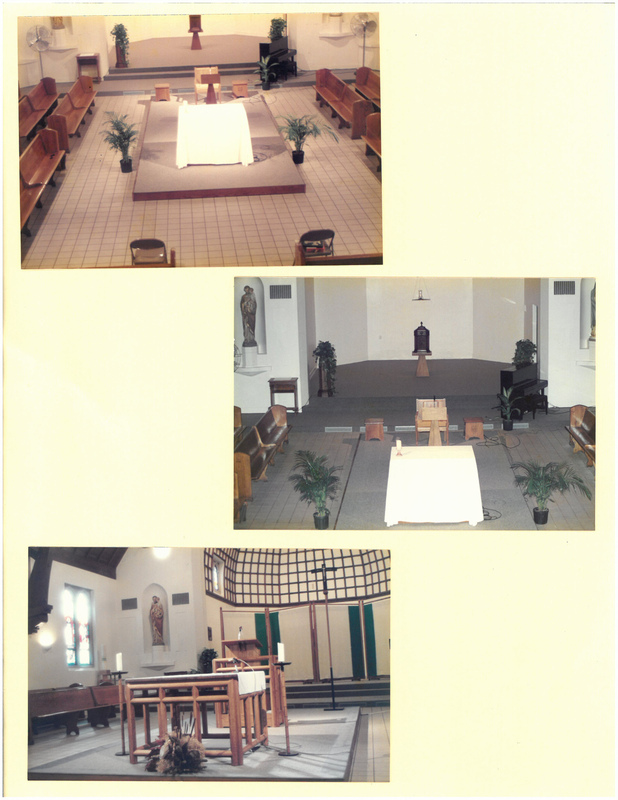 In the summer of 1988, the Cleveland Avenue church was renovated with seating placed on three sides of the altar. 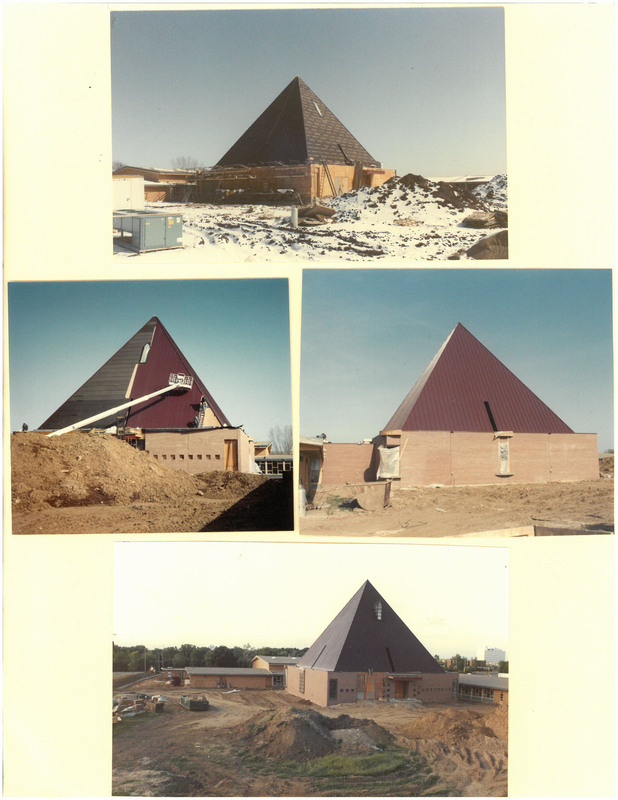 Corpus Christi School closed on June 2, 1989 and leased to Minnesota Waldorf School from 1991 to 2001. 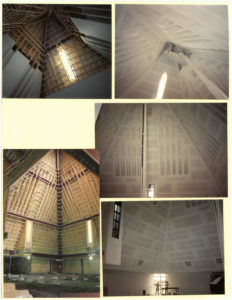 It is currently leased to Hand in Hand Christian Montessori School. 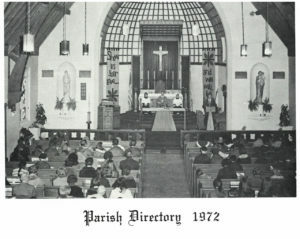 The parish was forced to make a decision on the future of the two properties. The Parish Council embarked on a year-long study and recommended selling the former church and building a new worship space on Fairview and County Road B. 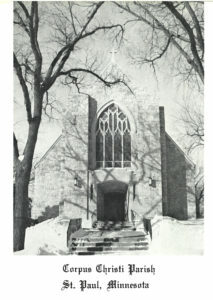 The old church was sold to St. Andrew Kim parishioners on March 18, 1992. 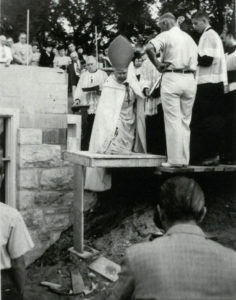 On the Feast of Corpus Christi, June 21, 1992, parishioners processed from the church on Cleveland Avenue to the new worship space. 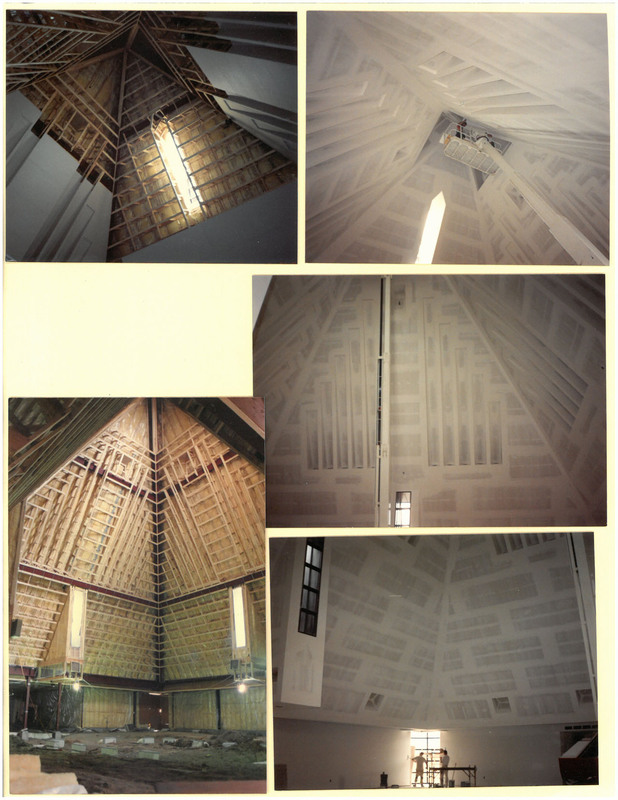 The new church was built and furnished at a cost of approximately one million dollars. 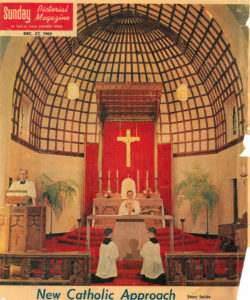 Pastors who have served Corpus Christi are Fathers James Westfall, James Guinney, Paul Colbert, Raymond Moorman, Richard Skluzacek, John Bauer, David McPhee, Robert Nygaard and Francis Fried. 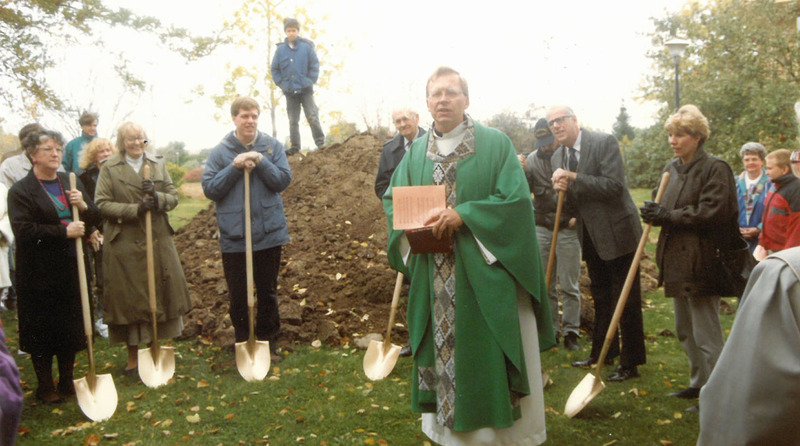 Father Ron Bowers was a long term associate. The current pastor is Father Robert Fitzpatrick, who goes by “Fr. Fitz.” Fr. 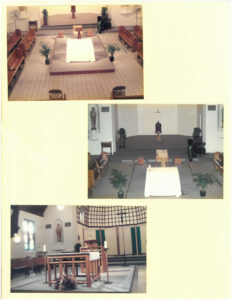 Fitz is a shared Pastor between Corpus Christi and St. Rose of Lima. School principals were Sisters Francesca Pekarna, Mary Leo Tholkes, Alclare Wickenhauser, Rosita Meehan, Dolores Waldoch and Josine Winter. Corpus Christi has been blessed with great diversity due to its proximity to the St. Paul Campus of the University of Minnesota and extensive parish boundaries.